Good health is the foundation of social and economic development around the world. Despite remarkable achievements in science and medicine, millions of people still lack access to healthcare services. As the world’s largest healthcare company, Johnson & Johnson is committed to improving access to our innovative medicines, vaccines, devices and diagnostics in all markets, including traditional reimbursed healthcare markets, emerging economies and least-developed settings. Access to medical treatment is a complex issue, of which affordability is only one aspect. There are other significant non-price barriers that impede access to basic health services and, ultimately, improved health outcomes for underserved populations. These include weak health infrastructure, lack of skilled health workforce, inadequate financing options to cover medical needs, and insufficient regulatory capacity to run effective healthcare delivery systems. Addressing non-price barriers by helping to strengthen public healthcare systems around the world through health workforce capacity building, medical education, and improving supply chain operations. Responsibility for access to our medicines is shared among our Janssen commercial business and Johnson & Johnson Global Public Health. The strategy for Janssen is set through the Global Commercial Strategy Organization (GCSO), which has primary responsibility for access strategies across the developed world. GPH has primary responsibility for access strategies in resource-limited settings. 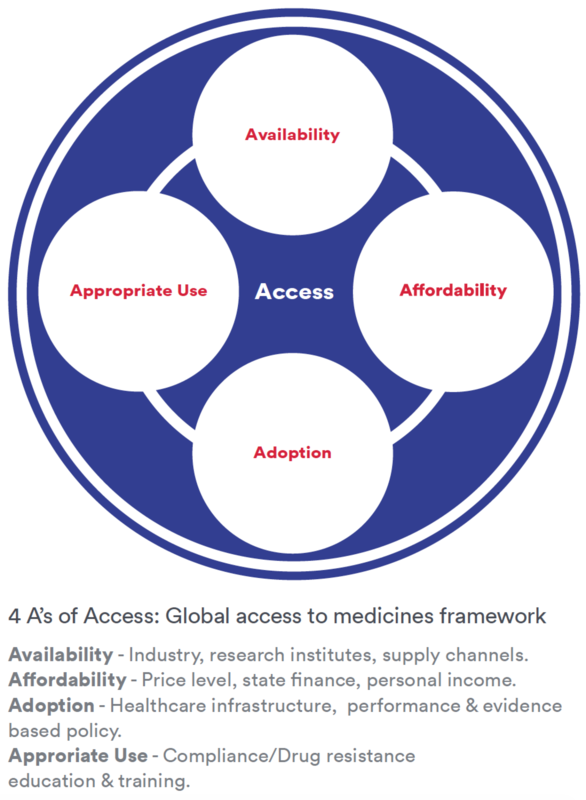 Within the GCSO, the Global Market Access function oversees access to medicines strategies and initiatives, including health economics and pricing efforts for all therapeutic areas worldwide. Johnson & Johnson is an original signatory of the BSR Guiding Principles on Access to Healthcare, industry-wide principles that underscore the importance of five core areas to reducing the global burden of disease: collaboration, R&D, expanding availability of healthcare services, developing health systems resources, and respecting human rights.